Mine: An acting showcase. A bit hard to watch at times, but there is some wonderful dialog and dark humor. The whole cast is terrific. 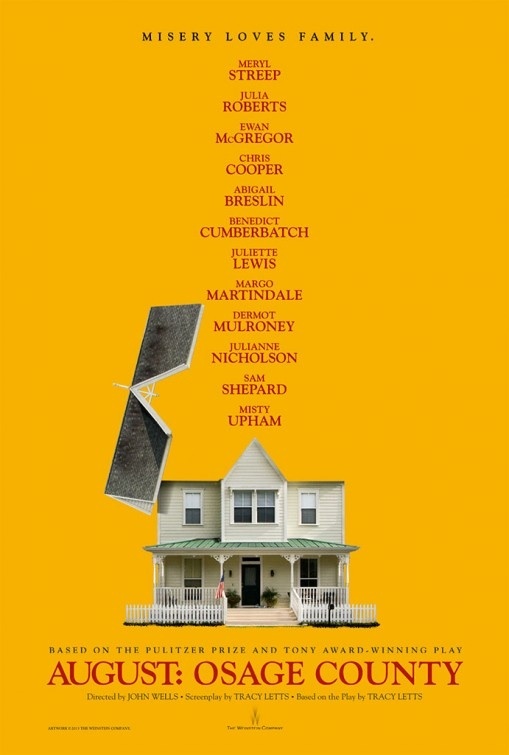 Leonard Maltin/Plot synopsis: A look at the lives of the strong-willed women of the Weston family, whose paths have diverged until a family crisis brings them back to the Oklahoma house they grew up in, and to the dysfunctional woman who raised them.